With the success of books like Harry Potter and The Twilight Series, it’s no surprise that young adult books are appealing to readers well beyond their teens. So, if your idea of a great novel is a little bit of drama mixed with heartfelt vulnerability and maybe even some comedy, you might be interested in what some publishers are calling the New Adult Genre. California Life reporter Gabrielle D’Addario sat down with perhaps the New Adult Genre’s most popular author, Rebecca Donovan, to learn about her best-selling trilogy – The Breathing Series. The Breathing Series is made up of three electrifying, page-turning novels: Reason to Breathe, Barely Breathing and Out of Breath. 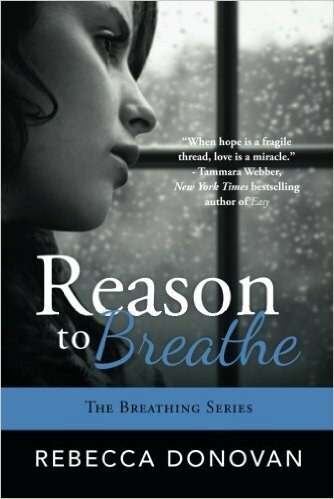 According to Donovan, Reason to Breathe is a unique tale of life-changing love, unspeakable cruelty, and one girl’s fragile grasp of hope. The following novels, Barely Breathing and Out of Breath, continue readers on the journey through the main characters life – facing immeasurable abuse and coming to terms with the trauma she has endured. The highly anticipated conclusion of The Breathing Series will have readers holding their breath until the last page. To learn more about Donovan’s inspiring writing career and the inside scoop on The Breathing Series, watch the full segment below.